Last week, a Georgia middle school student took it upon herself to console another student when she was visibly upset by giving her a hug. The innocent act of compassion, however, was viewed by the school very differently. They reprimanding the student. The compassionate girl who gave the hug was written up, her actions were deemed a “level one offense” and an inappropriate display of affection by Villa Rica Middle School. “My daughter has never been in trouble at school, until today,” the girl’s mother posted on Facebook. 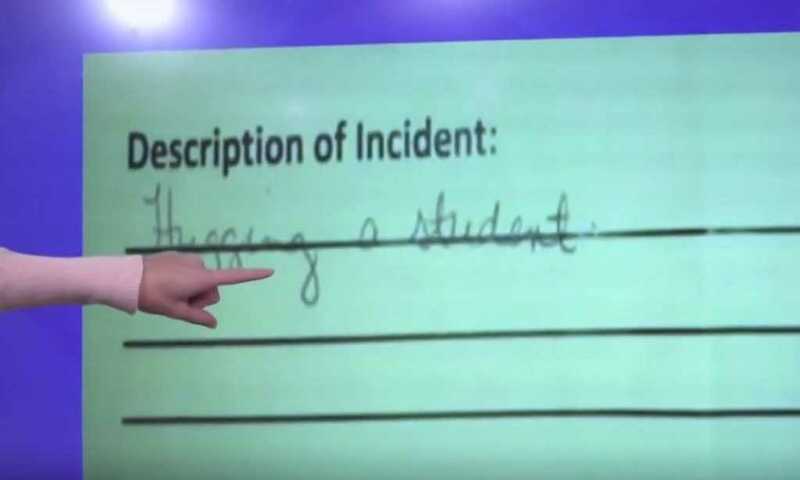 The Carroll County School System has yet to comment on the case, but according to local Atlanta news station 11Alive, they referred them to their school district’s student handbook, which specifically outlaws public displays of affection between students. The handbook does not outline punishment, but simply states that a student can get charged with anything from a warning to a suspension. 11Alive also approached other school districts in the Atlanta area to see if they had similar policies. Gwinnett County Public Schools and Atlanta Public Schools had policies against sexual harassment and battery and “excessive” public displays of affection, but neither outlawed hugging. As you can imagine the video received comments from both sides, each with firm opinions. “I think it’s crap. How about they focus more on bullying?” one commenter responded. “So let’s teach our kids not to be empathetic towards others. Ridiculous. How about we teach our kids to have compassion for each other instead of punishing them for something like this,” another Facebook commenter wrote.